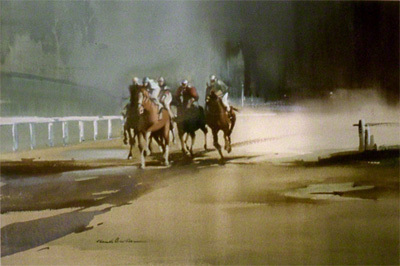 A water colour by Claude Buckle entitled 'into the straight' showing a group of horses galloping to the finishing line in a horse race. The artist expertly captures the feel of race and the fast movement of the horses. Created in 1970.